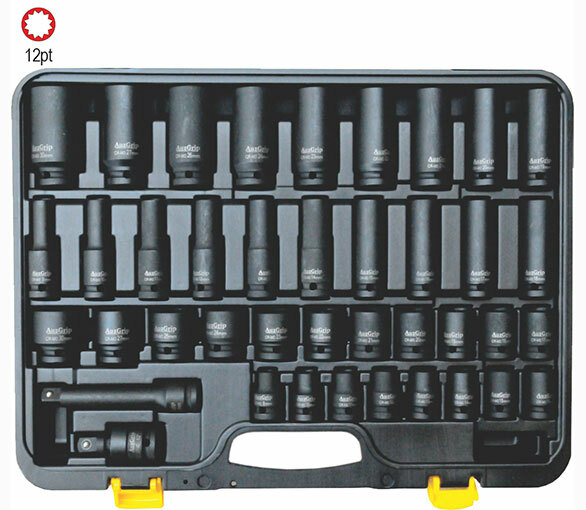 Heavy duty industrial quality impact sockets. Manufactured from drop-forged Chrome Molybdenum steel with Manganese Phosphate finish for greater corrosion resistance. High visibility laser etched markings for easy socket size identification. DIN standard with *AuzDrive technology.